Trent Park Golf Course in North London is a stunning 18 hole public pay and play golf course, open to everyone at all times Weekdays and Weekends and situated in Oakwood Village, Enfield; set within the grounds of the stunning Trent Park Country Park, the Clubhouse is situated just 150 metres from Oakwood Tube Station on the Picadilly Line. 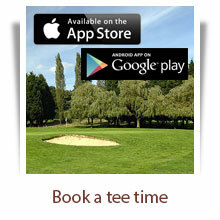 Search availability and Book your Tee Time right now by clicking the Link in the Box above. If you are looking for a Golf Club in London, Trent Park golf course is just 150 yards from the Oakwood Tube Station on the Picadilly Line and is close to Enfield, Barnet, Southgate, Oakwood, Finchley, Potters Bar, Palmers Green, Winchmore Hill, Wood Green, Crews Hill and Cockfosters. We are the most accessible Golf Club from Central London and the most welcoming to visitors. Hop on the Tube and you can be on the 1st Tee within 30 minutes of leaving Kings Cross station. Trent Park golf course is one of the best examples of a public golf club in London; offering exquisite views over the beautifully maintained landscape of Trent Park Country Park. With its 18 hole golf course, combined with driving range and golf lessons and tuition, Trent Park golf course is perfect for those looking for cheap golf in London. With the facility to book your tee time online and reduced prices for midweek and evening golf, it couldn't be easier to book a game of golf at the Trent Park golf course in North London. Trent Park golf course is one of the top destinations for golf society days and corporate golf events in London. For further details of our golf society and corporate golf packages, please visit our golf societies page. The floodlit driving range at the Trent Park golf course offers 34 covered and heated bays and is the best golf driving range in London. Open until 9.30pm on weekdays and 8.30pm at the weekend, why not visit the driving range at Trent Park golf course in London. 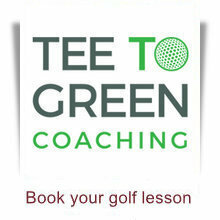 The Tee to Green Golf Academy team at Trent Park golf course possess a wealth of knowledge and experience in providing specialised golf lessons and golf tuition on a number of areas including junior golf, driving, iron play and short game including putting practice. Find out more about our golf lessons and golf tuition at Trent Park golf course in London. The Function room at Trent Park Golf Club is a perfect Wedding reception venue. One of the most popular Halls for Hire in London it is also regularly hired for Christmas Parties, as a Conference venue and also hosts events weekly. American Golf run the golf discount shop at Trent Park Golf Course and carry a vast stock of all of the leading brands and is the best place for cheap deals on golf equipment in London. We hope to be build a bigger golf superstore for American Golf in 2017, subject to receiving planning permission, and in this case the existing shop which is too small will become a Health Studio or Gym. 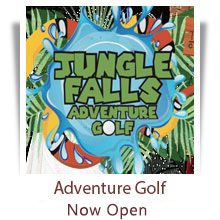 Our fantastic jungle themed Adventure Golf opened in 2016 and is great fun for all the family. Ideal for kids birthday parties, corporate days, teambonding events please contact us to arrange your special event or just turn up and play 7 days a week from 10am to Dusk. 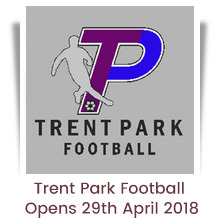 Twigmarket Ltd, the leaseholders of Trent Park Golf Club, were granted Planning Permission in Dec 2012 for the development of 10 x floodlit 5 a side (3g) Football pitches. For the interest of our Customers the plans for the development, which comprise also re-modelling of the 1st hole, Car Park extension, complete redevelopment of the presently run down Clubhouse Buildings including new changing rooms, new Green Fee ticket office and Entrance signage are nearly complete with the Adventure Golf opening in August 2016 and the Football Centre due to open by the end of 2017. The plans can be downloaded from the links below. Twigmarket Ltd was formed in 1990 to acquire Lime Trees Park Golf Club, a 9 hole public golf course and driving range, held on a long lease from London Borough of Ealing. Since 1992 Twigmarket has owned Trent Park Golf Club, North London's busiest Public Course and Driving Range, held on a 125 year lease from London Borough of Enfield and in November 2014 Broome Manor GC and Highworth GC joined the group. The Company has a long established reputation in the Golf Industry as managers of Local Authority owned golf facilities with a 26 year unbroken record of profitability.